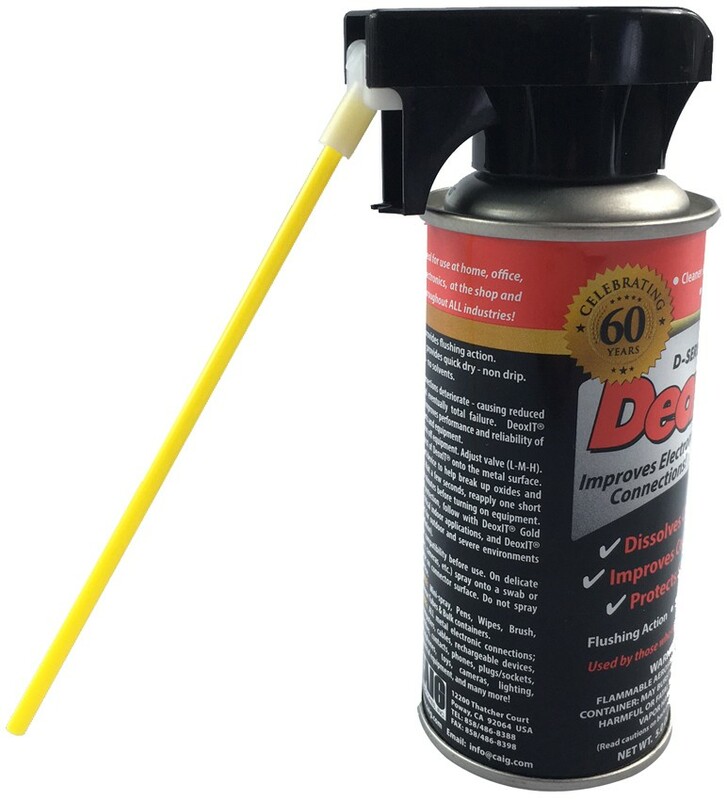 The best selling Caig product, we've sold hundreds of these D5 cans. This is THE contact cleaner for hi-fi and AV applications. Cheap, effective and essential for optimal contact performance. A unique contact cleaner, rejuvenator, conductivity enhancer and lubricant; dissolves oxidation and corrosion on metal surfaces, fills in microscopic gaps and reseals surface for better contact to enhance flow of electricity (142g can). Perfect for contact cleaning, this cleaner also reduces RFI and allows for cleaner audio and video quality. 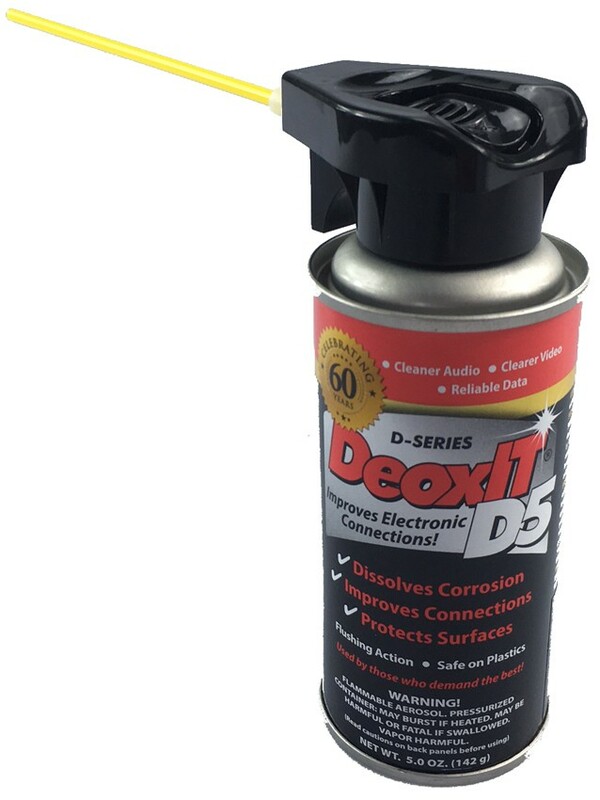 DeoxIT7 D100L concentrate has approximately 20% chemical cleaning action. Excellent cleaning/deoxidizing, good protection, no ozone depletion. Improves conductivity and reduces intermittent connections. Reduces arcing, RFI, wear and abrasion. Improves connector performance/reliability. Heavy green patina on inaccessible contacts on my Golf's external temp sensor. Saturated both halves and agitated the connection. Took several hours, but now works like new again. Magic! 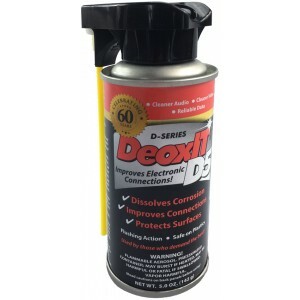 Actually purchased the Deoxit to lubricate/clean power valve pins on my vintage guitar amp. Replaced four EL34 tubes. All working perfectly, so I'd recommend it as safe to use on expensive electrical gear. This product chemically reacts, dries and leaves no residue, very different to the famous Water Dispersion product we all know! Audio Affair are professional. The can arrived in a couple of days. Buy some from them! The reviews I've seen sounded too good to be true. However I used it to 'service' the pots on an ancient amp: after a few well aimed squirts the amp is now performing like new. 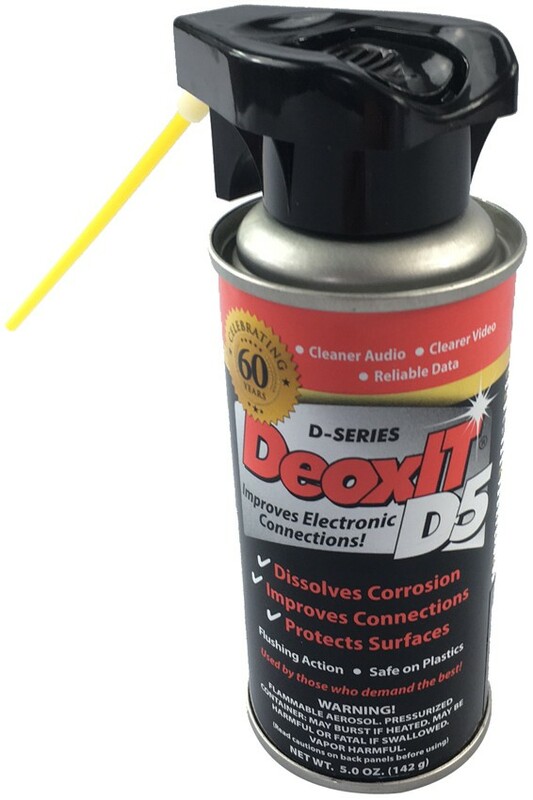 DeOxit D5 is expensive maybe but it does the business.